Huawei has unleashed its new smartphone that sports a Super Large Screen complemented with a whopping battery capacity – the Huawei Y Max. 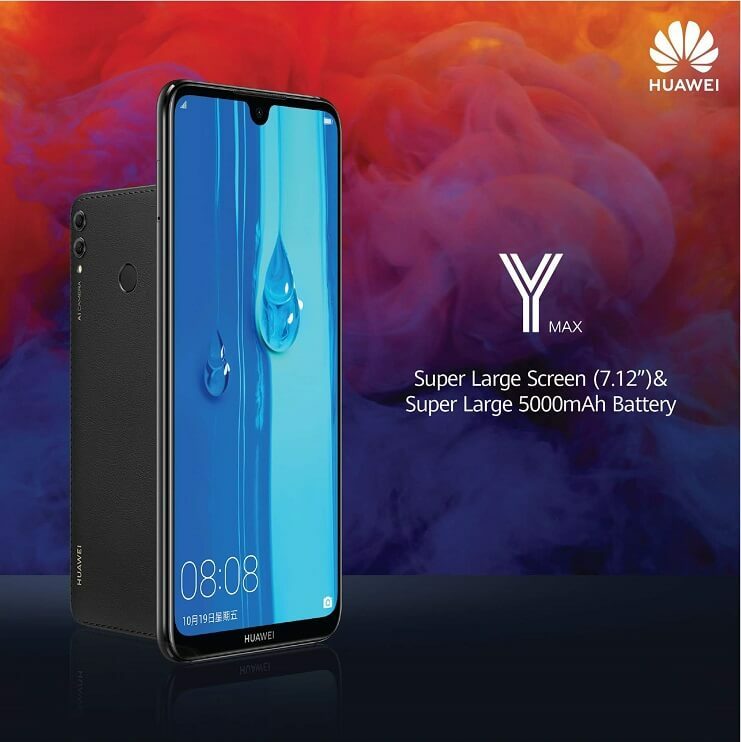 As part of the 2019 Y Series lineup, Huawei reintroduced its Y Max device in Sri Lanka. Perfect for gamers, and users who prefer handsets with huge displays, Huawei armed the unit with a big 7.12-inch FHD+ panel with 2244 x 1080 pixels, and an unusual 18.7:9 screen aspect ratio. Moreover, it is mounted with a dewdrop notch to offer more screen. Under the hood, the Y Max carries a Snapdragon 660 octa-core processor, coupled with 4GB of RAM and 128GB of onboard storage. The latter is expandable up to 256GB via microSD card. To accompany users on their mobile tasks, Huawei equipped it with a 5000mAh battery, making sure that it can last longer than other smartphones. Jumping off to its photography department, the device comes with a dual-rear camera setup composed of a 16-megapixel f/2.0 main sensor, and a 2-megapixel f/2.4 secondary shooter. For selfies, it sports an 8-megapixel f/2.0 snapper. Other notable features include its fingerprint scanner, and 4G LTE connectivity. It also runs on Android 8.1 Oreo OS with EMUI 8.2 on top. The Huawei Y Max is available in Sri Lanka, and is priced at LKR 52,990 (~Php15.5K).